Home /Australia has two types of elections, so which will we see this time? Australia has two types of elections, so which will we see this time? Those elections that see a change in government are often thought of as the most significant. Paul Keating has been credited with saying that if you change the government, you change the country. But it’s also true that you can change the country by returning a government. In 1987, Australian voters also changed the country by returning the Hawke government. In doing so, they postponed a Howard prime ministership by almost a decade, and ensured policies that were still contentious in 1987 — such as Medicare — would survive the opposition of the free-marketeers in the Liberal Party. The combination of economic rationalism and social protection that the Hawke government had pursued since 1983 would survive because electors decided they were unwilling to support a more bracing conservatism. The return of Mr Keating in 1993 had similar effects. The rejection of the Liberals’ Fightback! manifesto did not end the possibility of a goods and services tax. But it did ensure that when the Coalition returned to office in 1996, it was reconciled to universal health insurance and a social safety net, however reluctantly. When Mr Howard sought to move beyond the informal compact with voters he established in 1996 by introducing radical industrial relations reform via WorkChoices, he was promptly despatched. This is a fuzzy distinction that often requires a closer knowledge of policy than most voters possess. It is also the case that Australia’s system of compulsory voting motivates parties to appeal to the centre instead of making more extreme pitches to mobilise their “base”, as we see in the United States. The point here is that the times have changed since the heyday of neoliberalism under Mr Hawke, Mr Keating and Mr Howard. Voters have made it clear they want governments to do something about inequality, and they are unable to accept that the operations of the market and the interests of the public amount to the same thing. In this respect, the 2019 contest may well be thought of as Australia’s first post-GFC election. Of course, this is not literally so: we’ve had three. But in another sense, it seems to me to be true; the GFC has now caught up with us. That was not the case while the China boom continued, and while enough people believed the mining lobby when it told them any government proposing to kill the goose that laid the iron-ore egg was unfit for office. 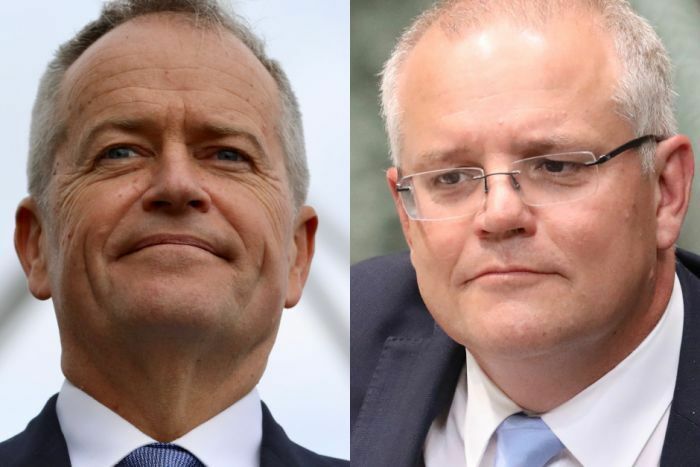 A temporary rise in commodity prices has provided the basis of a spending free-for-all in which both government and opposition have joined, each aimed at buying an election victory. But no-one seriously imagines that any temporary budget improvement represents a long-run trend in Australia’s economic circumstances. In line with global developments, for the foreseeable future we are likely to experience lower rates of economic growth than those to which we have been accustomed. Australian voters are also now much more preoccupied with how the neoliberal consensus of the 1990s and early 2000s, whatever it has achieved in the past, now works against their interests. They are concerned about their flat wages and rising cost of living. They demand that governments make the wealthy contribute a fair share to meeting the tax burden. They are impatient with what they see as the greed and amorality of big business and big government. And they are less tolerant than a generation ago of rising inequality. But above all, they really dislike politicians. This is not new — it was there even in colonial times — but it is potent and growing. The Australian National University’s Australian Election Study revealed that the 1996 and 2007 elections — each of which saw a change of government — coincided with a rise in political trust and satisfaction with democracy. The 2013 change-of-government election did not. At the 2016 election, trust fell to alarming proportions. It may well be that this number — which Antony Green’s hardworking computer will not spit out on election night — is really the one to watch once the dust settles on the 2019 election. Frank Bongiorno is professor of History at Australian National University’s College of Arts and Social Sciences. This piece first appeared on The Conversation.